Who isn’t fascinated by what life was like 10,000 years ago or so? Europe and Asia lay claim to the world’s oldest cities, and their ancient relics give a riveting insight into their infrastructure and daily life. Put a visit to one of these world’s oldest cities on that bucket list. Although it’s located in war-ravaged Syria, there’s proof that Aleppo is the planet’s oldest city with signs of civilization as long as 13,000 years ago. Early history places the city as a wealthy, prominent trading post. This was probably due to its proximity to the Mediterranean Sea and the Euphrates River. Era after era is apparent in the city’s infrastructure from the Citadel of Aleppo to the Great Mosque. Here’s to hoping they overcome conflict. This ancient city on the banks of the Ganges River in northeastern India is almost other-worldly. Rich with Hindu culture, this spiritual capital of India had civilizations 3,000 years ago. Varanasi is still a major pilgrimage site for Buddhists and Hindus. It’s quite an experience to watch as they walk into the Holy Ganges River to cleanse their souls. Athens is one of the best known and loved cities of ancient historical significance. Europe’s historic capital dates back to the 11th and 7th centuries B.C. Thanks to Plato and Aristotle, it’s the ultimate epicenter of art and philosophy and is even said to be the birthplace of democracy. This early democracy became far-reaching into other parts of the world. 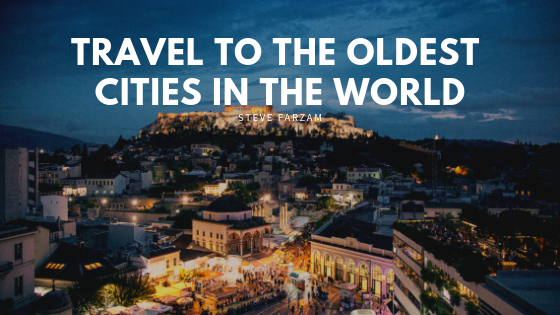 Athens has many must-see ancient monuments and UNESCO sites including the Acropolis of Athens, the Parthenon, and Daphni Monastery. Once a small fishing village, Byblos grew into a port and became world-famous for ship making. The name Byblos comes from the papyrus tree, an export for making the paper. It is said that the papyrus tree was used to make the paper upon which the first Bible was written. In fact, the English word “Bible” is derived from Byblos. The site of civilization since 5000 B.C., the most interesting relic from this “bookish” city is the origin of our present-day alphabet. The Phoenician Tablet was carved into King Ahiram’s stone coffin around 1200 B.C. The Byblos of today is an intriguing mix of Bronze Age temples, Byzantine churches, and ancient houses.